Grammy-nominated band OneRepublic will share the stage with fellow Grammy nominee and country favorite Dierks Bentley when CMT presents an all-new episode of CMT CROSSROADS. OneRepublic and Bentley will meet and collaborate for the first time on the CMT CROSSROADS stage in Nashville. 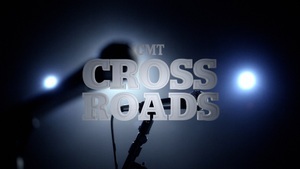 CMT CROSSROADS: ONEREPUBLIC AND DIERKS BENTLEY will premiere March 21 at 10:00 p.m. ET/PT on CMT.